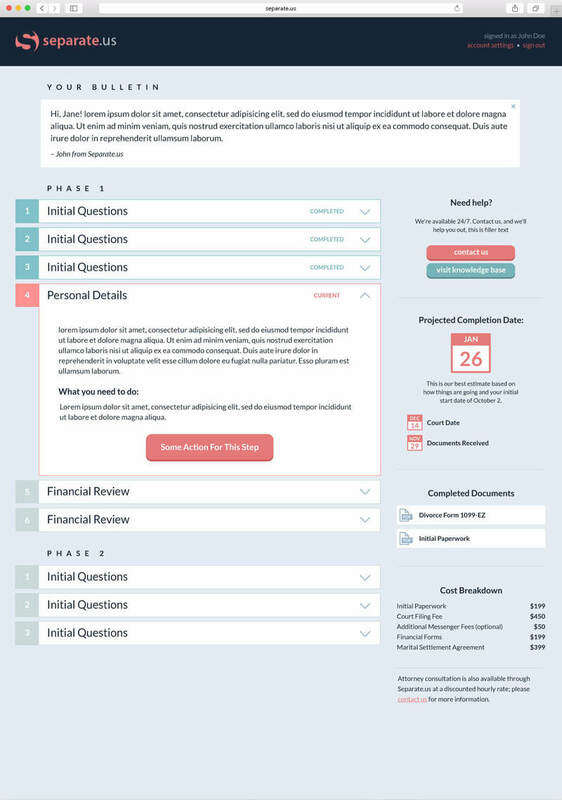 Separate is a supportive DIY divorce solution designed to help the customer to complete all of his/her legal paperwork and to make the decisions that he or she needs to make while filling them out. The customers can proceed through the guided interface and learn all that is necessary while filling out the forms. Think Turbo Tax, but for divorce. As the customer answers simple questions throughout the tool, the divorce documents are automatically generated in the background. The average total cost to hire a divorce lawyer in California is $15,000. Most people can’t afford those dollar signs. 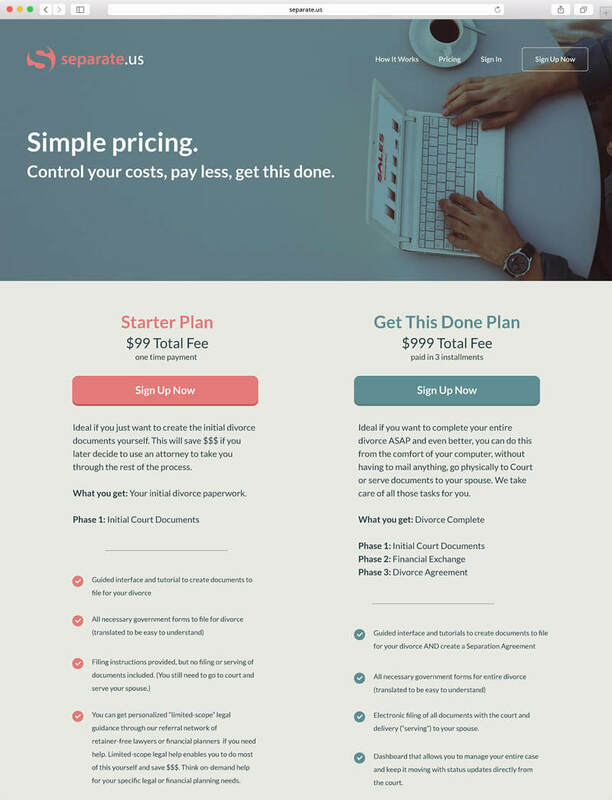 Separate.us provides an option to do divorce the smart way, without spending life savings and still get support from lawyers, when needed. No costly up-front retainer!